Imagine a haven of romantic tranquility, nestled by a stream deep in the heart of the White Mountains in the picturesque Jackson. The lofty summit of Mount Washington is nearby. Now imagine ideal spots to relax and unwind~our cozy gameroom and pub, sunny sitting room, atrium-enclosed hot tub, sauna, or in season, the gazebo or outdoor heated swimming pool. The inn’s 20 rooms and separate cottage are beautifully appointed with period furnishings and a wide variety of traditional and modern amenities. All rooms have private baths, cable TV, phones, and air-conditioning. Many have two-person Jacuzzis and/or balconies and most have gas or wood burning fireplaces. Explore the area’s waterfalls, hiking and biking trails, or enjoy golf, canoeing, kayaking or fishing. In winter, Jackson’s world class cross-country ski trails beckon, try snowshoeing, or choose from one of five alpine ski centers nearby. Seeking a more relaxing day? Enjoy tax free shopping or just settle into the inn’s distinctive ambiance and let your daily stresses slip away. All of this awaits you. Come and rekindle a relationship, celebrate that special occasion, or have the most relaxing vacation of your life. Accommodations range from $110-$295 per night depending on room and season, including gourmet breakfast and afternoon refreshments. We offer many packages and specials ~ please check our web site. The inn is a smoke free establishment and is not appropriate for children under 12 years. 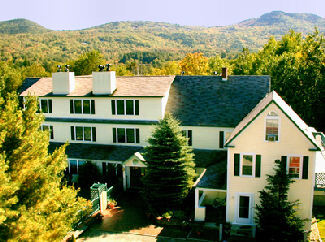 This and other New Hampshire Bed and Breakfast Inns can be found here in The Register.